I had callaloo for the first time in St. Lucia many years ago. One of my brothers had his destination wedding at one of the larger resorts on that island. My parents and I enjoyed eating the callaloo dish the resort made as part of their breakfast spread every morning. The dish was simple, just callaloo and stock but it was tasty. Of all the resort guests I think we were the only ones that ate this dish. More for us!! Once back in the States I searched all over for fresh or even canned callaloo but had never been able to find it. 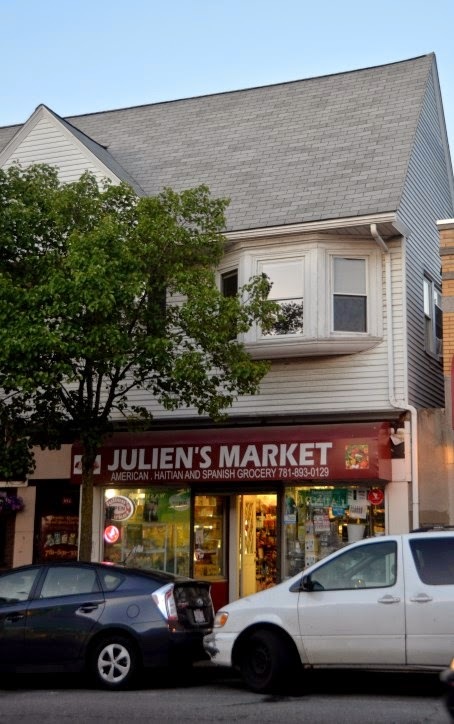 I was in Waltham a few weeks ago and came across a small market owned by Marie, a friendly and delightful Haitian-American woman. 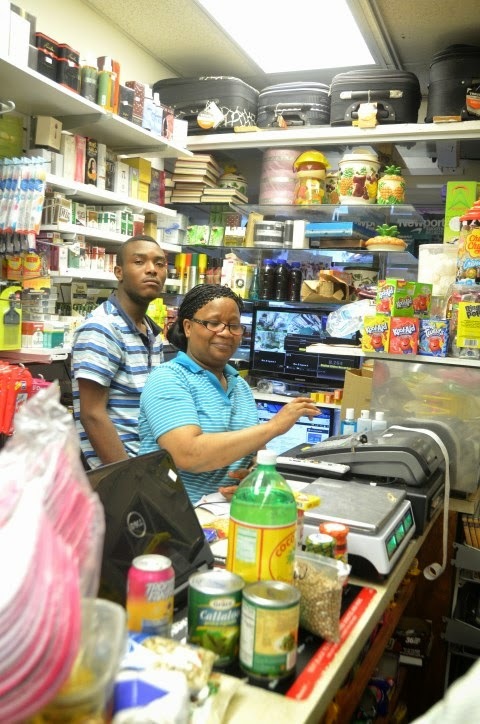 I was thrilled to buy some of the produce she had available. The canned callaloo is unfortunately in salted water. Before using just give it a few good rinses with cold water to get rid of as much of the salt as you can. 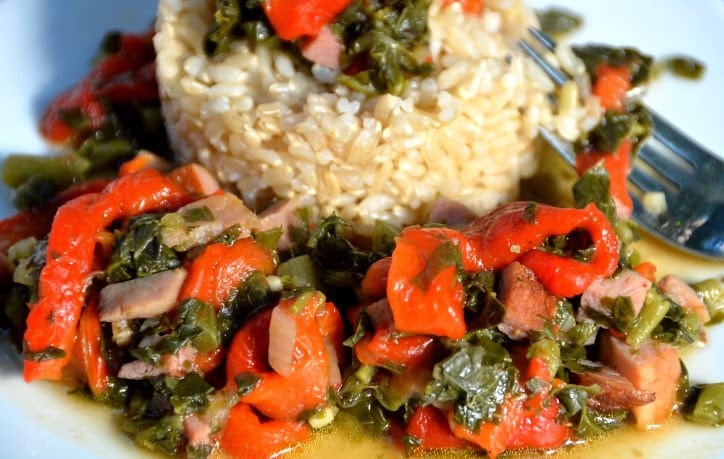 Marie tells me that this callaloo dish is easily made with a few ingredients; callaloo, tomato, onion, red or green peppers with the seasoning salt and Maggi chicken bouillon cubes she recommended. Today I decided to make this dish that is inspired by her. Thank you Marie! 1) Heat a medium sized pot over medium high heat. 2) Once the pan is hot add oil. 3) Add garlic and onion, saute about 1 minute. 4) Add ham, saute about 2 minutes. 5) Add peppers, saute about 2 minutes. 6) Add callaloo, bouillon, seasoning and water. Turn heat low once the liquid starts to boil. Let it cook for about 2 minutes more. *This dish is heavier on the salty side. Also both Sazónador Total seasoning and the Maggi chicken flavor bouillon have monosodium glutamate (MSG). You can certainly adjust the seasoning according to your taste and omit or substitute the seasonings.